Spring is right around the corner! 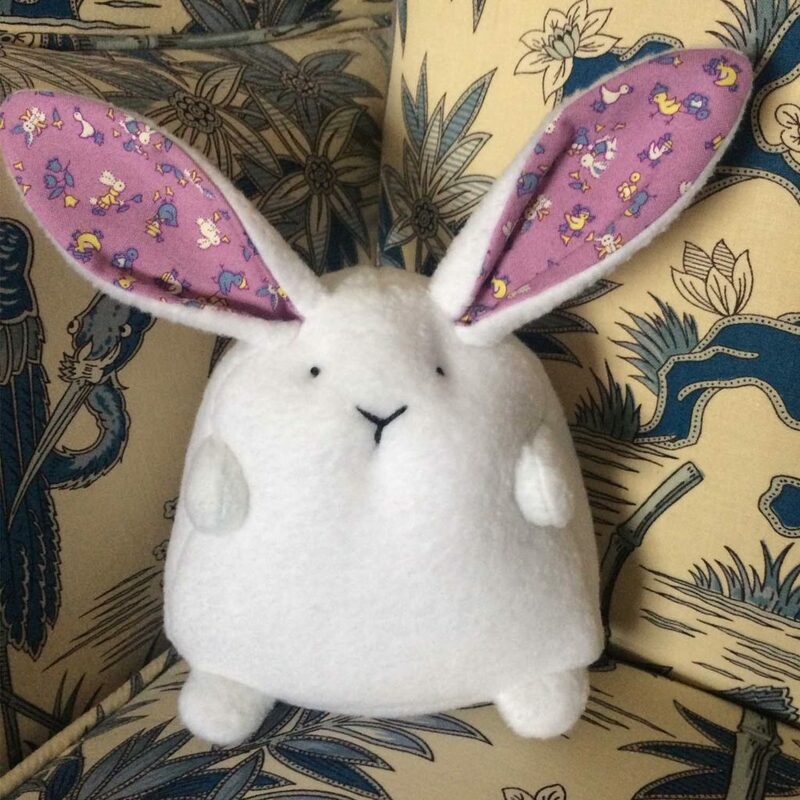 To get you ready for springtime crafting or Easter gifts, I’ve created a chubby bunny sewing pattern and tutorial as well as organic fabric kits for making an incredibly soft, heirloom-quality bunny! 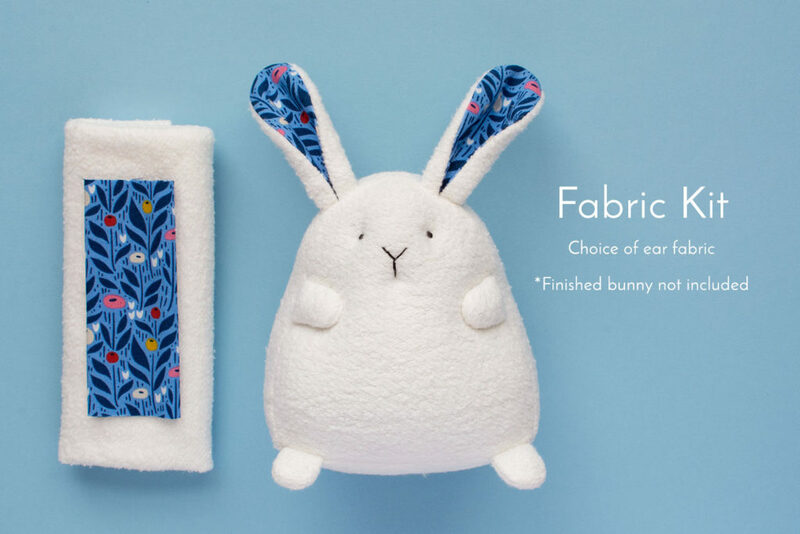 Chubby Bunny is a paid sewing pattern, however, it is free with the purchase of an organic fabric bunny kit! The PDF pattern provides easy to follow, step-by-step instructions with photos. 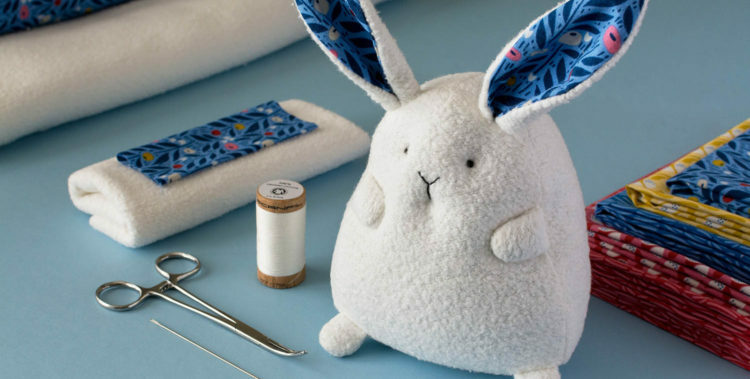 You will also receive a link to a 20-minute video tutorial, which will walk you through every step of needle sculpting the bunny. The bunny is very simple to sew, but the needle sculpture (which is optional) may be a new skill for some sewists. You don’t have to sew it alone! Join my Facebook group, Fluffmonger Patterns, where you can ask questions, post photos, and make friends! 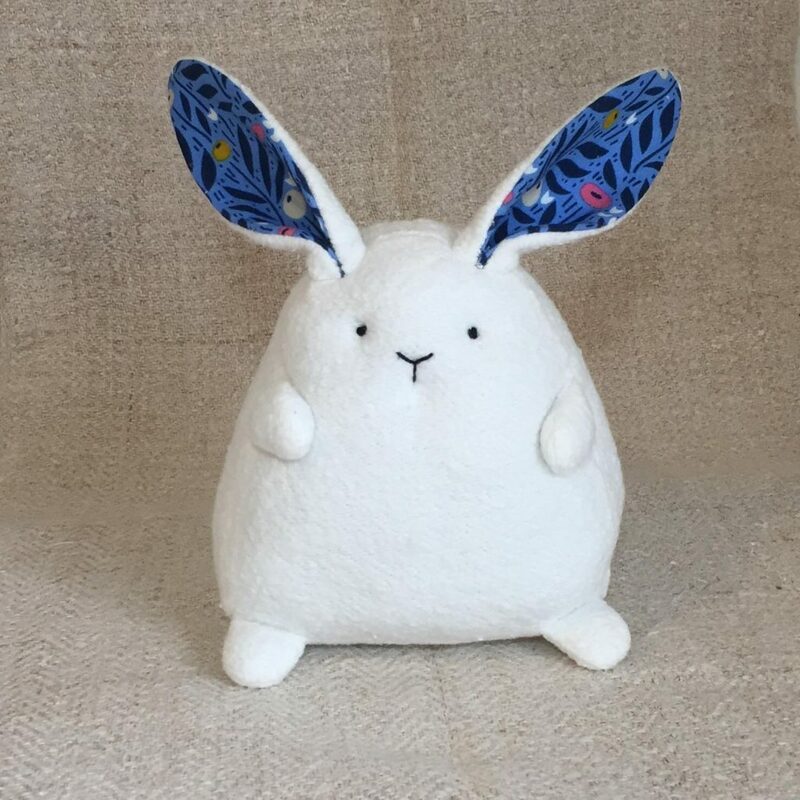 I’ve made kits if you’d like to make your bunny with organic fabric. The basic fabric kits come with organic cotton/hemp fleece and choice of organic print fabric. 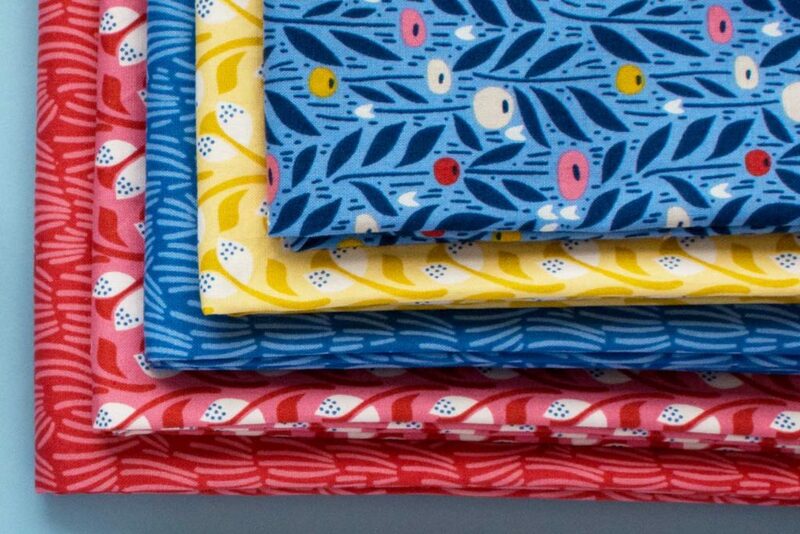 All fabrics are washed with organic, fragrance-free detergent and steam ironed (learn more about my organic fabric kits here). 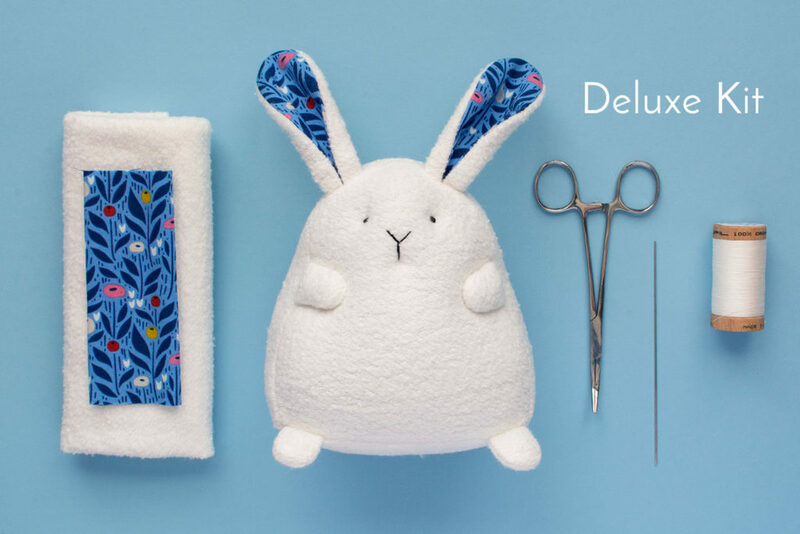 The deluxe kits come with everything in the fabric kit plus coordinating organic cotton thread, hemostat clamps (for turning and stuffing), and a 5-inch doll needle. Veronica Stienberg made this little tubber with polyester fleece! I’d love to see photos of chubby bunnies you make! Post them in my Fluffmonger Patterns group! 1. You keep a copy of your receipt as proof of purchase. 2. The items are not mass-produced. They must be made one at a time by hand. 3. The items are only made by the individual who purchased the pattern. 4. Credit is given to Fluffmonger for the pattern on a tag affixed to each item with the exact phrase “Made with an original Fluffmonger pattern from www.fluffmonger.com.” If selling online, the listing must contain a direct link to where the pattern can be purchased. You may make alterations to the pattern, but you must still credit Fluffmonger as these are considered derivative works. Head on over to my Etsy shop now for the pattern or kit! would it be possible to put up a picture of the actual sewing patterns? I would just be a little more helpful! Hi, Jess. This is a paid pattern, which is why I do not have photos of the pattern pieces in the blog post. qA6y1l Very neat article.Really looking forward to read more. Keep writing.